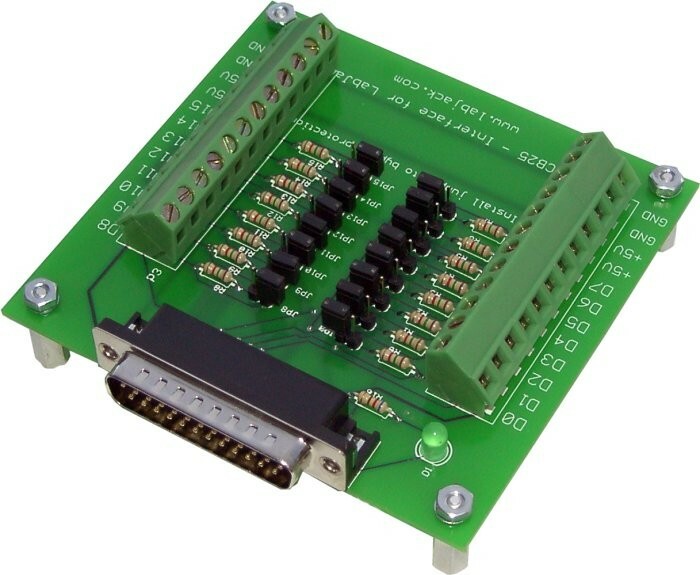 Provides screw terminal connections for the LabJack U12's 16 extra digital I/O. A screwdriver and DB25 cable are included. For the LabJack U12 only. For more information, see the CB25 Datasheet. You guys are a pleasure to deal with. We like the unit very much. Thank you for doing this in such a timely manner ...You guys are the ultimate support ninjas.